The feature works just like it does on WhatsApp. To help people not lose the threads of conversations on Messenger, Facebook has introduced the quoted message reply feature on its messaging platform, the media reported. The feature works just like it does on WhatsApp. 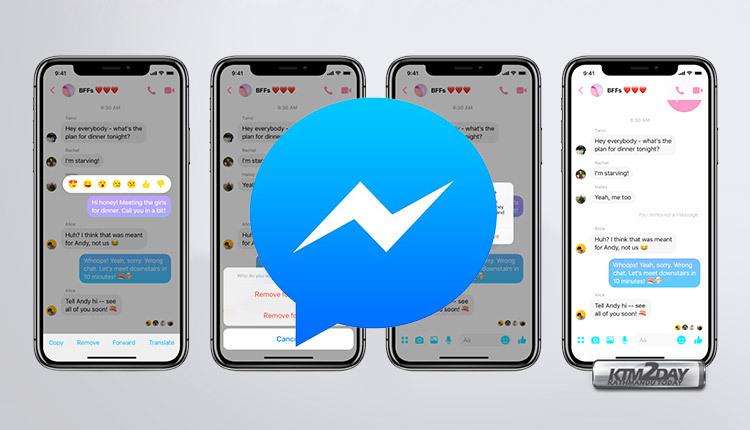 So with the roll out of the feature, the 1.3 billion users of Messenger would be able to quote a message to which they want to send a reply, VentureBeat reported on Wednesday. To make use of the feature, users would have to long-press on the text to which they want to reply and tap on the “reply” icon. The feature works for responding to individual GIFs, videos, emoji, text and photo messages, said the report. The introduction of the feature comes just a couple of weeks after Facebook Chief Executive Officer Mark Zuckerberg announced his plan to make Facebook more privacy focused and merge services like WhatsApp, Instagram and Facebook. “People should be able to use any of our apps to reach their friends, and they should be able to communicate across networks easily and securely,” Zuckerberg had said.